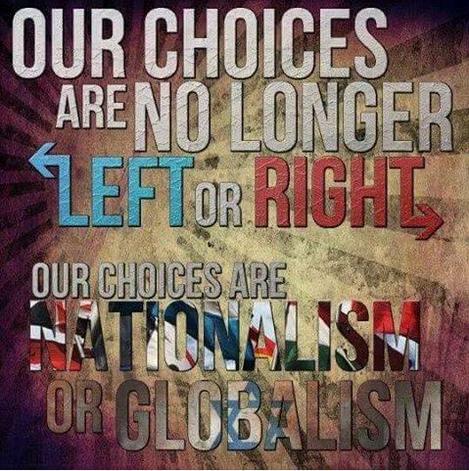 Nationalism is not globalism. Globalism is anti-nationalism. It demonises a nation’s people as racist unless they subscribe to being citizens of an imagined one-world government. 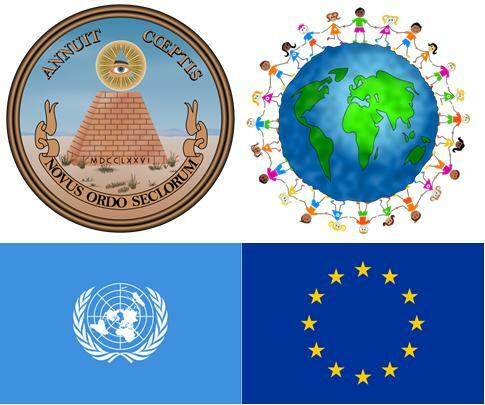 The United Nations, European Union, and World Bank are contemporary examples of extreme globalism. Globalism is the failed liberal authoritarian desire for a “one world” view that rejects the important role of nations in protecting values, disrespects national heritage and fosters wealth transfer from ‘earners’ to ‘leaners’. It’s called welfarism and it’s of course extreme Leftist. The ultimate goal of globalism is the eventual unification of all humanity under a one-world totalitarian government. Consider the totalitarianism that the EU is imposing upon the United Kingdom’s democratic vote for Brexit. It has exposed the EU as the evil Leftist empire. Globalists oppose nationalism, national sovereignty, and self-governance. They oppose strong border security, favor open borders, free trade, indiscriminate mass migration, interventionism, foreign aid, and overruling nation-state laws and national sovereignty. Globalists can come from several political leanings, from the far-left to those considered on the right-of-center. Globalists falsely claim that mass migration is necessary for economic growth. Small ‘L’ liberals support globalism because it leads to centralized power, thereby providing liberals with an easier way to gain control. Unnecessary treaties like the Paris climate agreement seek to undermine and nullify nation-state sovereignty and to ultimately impose a one-world government. European globalists (‘Europhiles’) are hell-bent on a consistent agenda – removing national sovereignties for a politically unified Europe and world government, encouraging mass migration from Third World nations that do not share the values of the European host countries, and the support of crony capitalism. According to the Oxford American Dictionary, globalism is the advocacy of “the interpretation or planning of economic and foreign policy in relation to events and developments throughout the world.” In its most extreme forms, it is sometimes expressed using terms such as “one world,” support for a single world government, and/or terms such as “world citizen” or “global citizen.” Some globalist groups such as the World Federalist Movement, and some non-Christian religions such as Bahai, actively campaign for world government. “Global” is a currently fashionable term in business, where the term “international” would be more appropriate usage; the term “international” implies business operations between a few countries, while “global” implies worldwide business, making it an adequate term for some forms of business that do operate across the world. Many aspects of globalism fall under the umbrella of globalization, which refers to how local phenomena can become global phenomena. The term “global” looks at the world as a single cohesive unit while the term “international” better recognizes the world’s different countries, different cultures, different languages, different ethnicities, and national borders. Thus the two terms are not the same thing and using them interchangeably is often incorrect; however, it should be noted that the two are not mutually exclusive. While globalists tend to see themselves as “open” and “progressive”, while their opponents want a “closed” society, The Economist, a globalist publication, has admitted this is not the case. Globalism also involves the theory of a “global economy” in which the economic achievements of most if not all nations are interdependent with those of other nations around the world because of international trade. Globalism is the antithesis of nationalism. 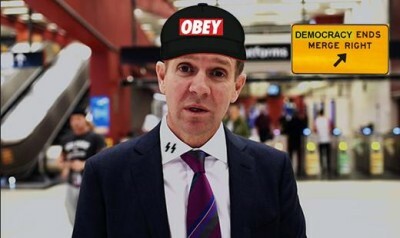 Globalism is the ideology pursued by the major political parties in Australia – Liberals, Nationals, Labor, Greens and their respective stooge minor parties like One Nation, Liberal Democrat Party, Derryn Hinch’s Justice Party, and other single issue parties that simply preference the major parties at election times anyway. Nationalism is grassroots of the nation’s people by the nation’s people for the nation’s people. Nationalism is not Left Wing nor Right Wing. It is not extremist of either ends of this political spectrum. It is not liberalism (‘neoliberalism’ nor ‘economic rationalism’) in which the global market freely dictates economics and trade in which the larger players dominate and eliminate small businesses, and national wealth is privatised. It is not multiculturalism, but monoculturalism. It is NOT conservatism in which the ruling traditional establishment prevents social or political changes. It is NOT communism in which the working class owns everything, and everyone must work towards the same communal goal. It is NOT socialism in which the means of production, distribution, and exchange is owned and regulated only by the community as a whole. It is NOT totalitarianism autocracy in which supreme power is concentrated in the hands of one person, nor absolutism where the rulers have unlimited control, nor aristocracy where government has power in the hands of a small, privileged ruling class. It is NOT anarchism in which there is no government but rather a utopian fantasy of voluntary self-governing co-operatives, which could lead to chaos and civil unrest. It is NOT pure capitalism in which the state and its economy are not democratically controlled by the people but only by private owners for profit. Nationalism is not purist in terms of the internal socio-economic machinations and so does not exclude aspects of socialism or capitalism or conservatism, so long as the means and ends serve the benefits of the national interest and its people, ahead of all others. 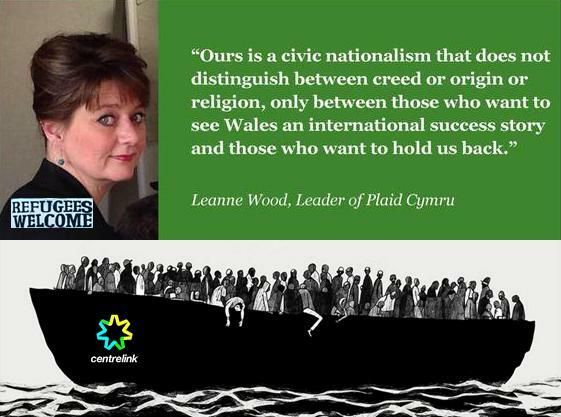 Civic Patriotism is deceptively branded a ‘civic nationalism’, which it is not. 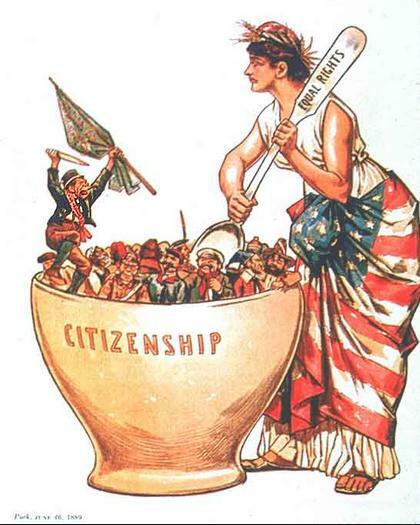 Civic Patriotism is a corrupted form of patriotism that invites the world’s population into a country to become a cloned melting pot of global citizens. The natural Celtic flavour of local Fish and Chips becomes unrecognisable after being Third World überspiced. It seeks legitimacy as a form of nationalism in which the state derives political legitimacy from the active participation of its citizenry, from the degree to which it represents the “will of the people”. It is often seen as originating with Jean-Jacques Rousseau and especially the social contract theories which take their name from his 1762 book The Social Contract. Civic Patriotism lies within the traditions of rationalism and liberalism. Membership of the civic nation is considered voluntary. Civic-national ideals influenced the development of Afro representative democracy in countries such as the United States and France. National pride prevails and symbols and occasions of national observance are highly valued, but membership it indiscriminate, open door to all comers and only serves to undermine the rights and sovereign entitlements of the native people it displaces. “International Success Story” = Is bureaucratically-imposed mass immigration that is treacherously imposed upon a nation’s ancestral locals, so that foreigners benefit from undermining sovereign rights. This policy is typically applied by Leftists when in power to shore-up their appreciative immigrant voter base.